I believe that the organisers of the Kintyre Way have missed an opportunity in the route from Campbeltown to Machrihanish. Currently the route takes you on the B842 which has a pavement as far as the village of Stewarton and then it is grass verges from there on in to Machrihanish. Of course it is great scenery but you will for ever have to jump into the verges when on-coming traffic comes by. A much better alternative is to either drive, or catch the bus, to Westport Car Park which is a short distance north of Campbeltown. There are also a number of very reliable taxi firms which could take you there. 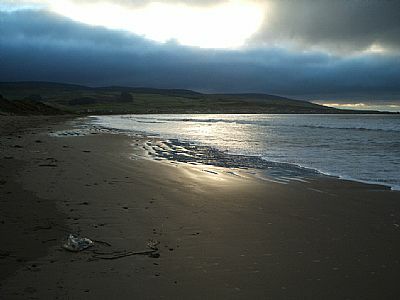 From Westport there is a small path which takes you on to the sandy beach which stretches all the way to the village of Machrihanish about 6 miles in total. 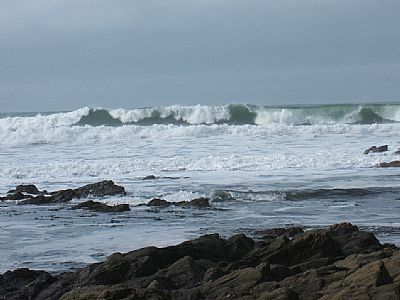 It is a great favourite for sea kayaking, surfing, kite surfing, jet skiing, windsurfing, kite flying and a host of other activities. 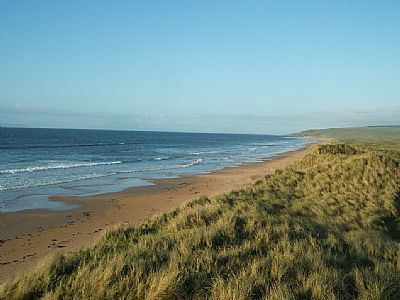 There is a very large dunes structure for the whole length and the golf courses of Machrihanish and Machrihanish Dunes are tucked away on the other side out of view. The views west look out to the islands of Islay, Jura, Cara and Gigha. To the south west the Mull of Kintyre, Rathlin Island (home of Bruce’s spider legend) and the Antrim Coast of Northern Ireland are clearly visible. 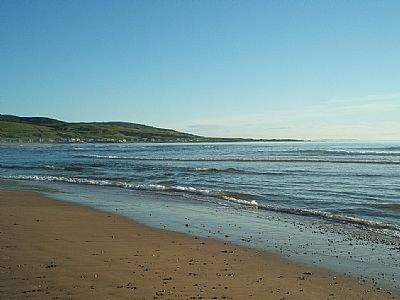 On very clear days the coast of Donegal can also be seen. The sand is mostly compact so it makes walking easy. 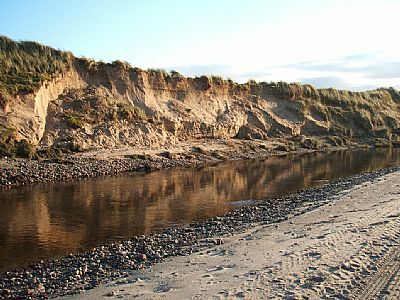 The only hazard is Machrihanish burn. To cross the river, follow the path beside the river and cross the first golf bridge and then follow the path back towards the sea and continue your walk along the beach. Very soon after the Machrihanish Golf buildings and the Ugadale Hotel come into a view and a path leads you into the village by the Machrihanish Golf Club. Take care on this path and also at the golf bridge as golfers may be playing.